Earlier this year, a friend put me in touch with the people behind Scratches, a magazine devoted to the fine art of comics, featuring work by artists from around the world. 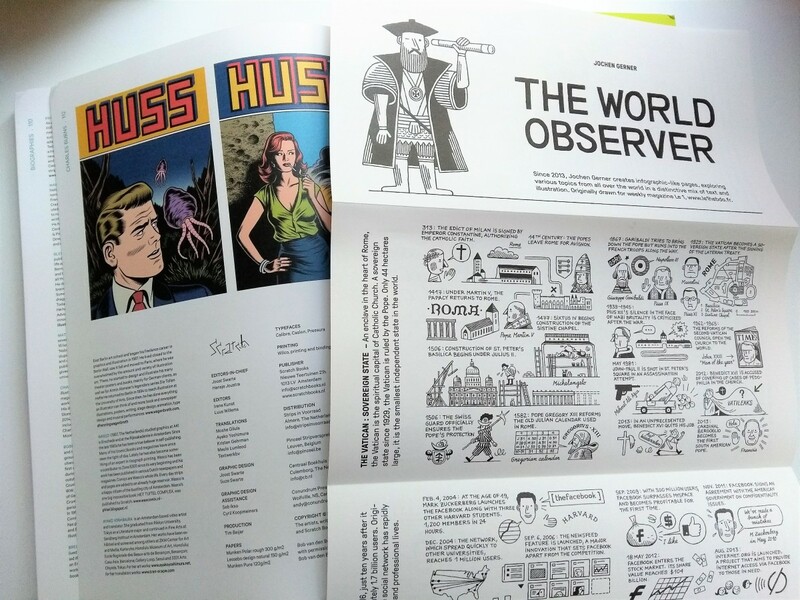 The edition is edited by Joost Swarte, renowned Dutch cartoonist and graphic designer whose work is regularly featured in the New Yorker (recognize this cover from May?). 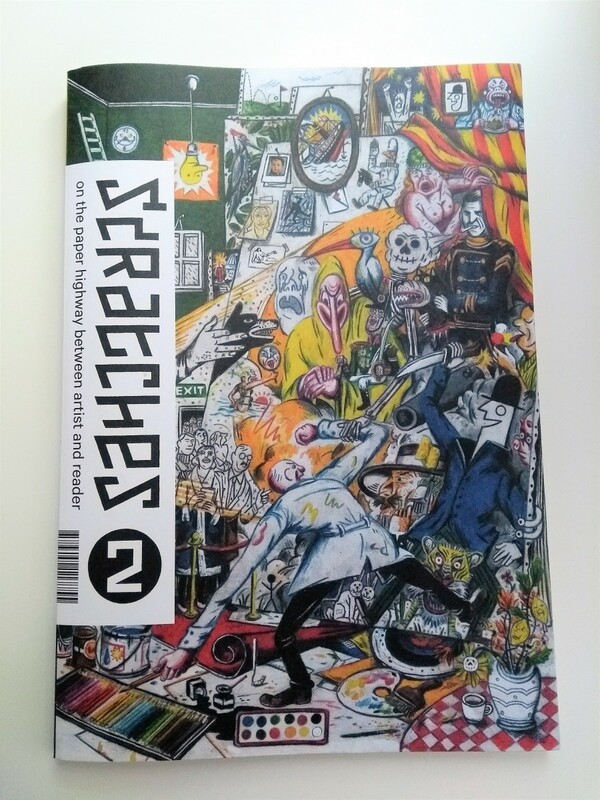 With an international audience in mind, all Scratches comics are translated into English, and I had the honor of translating work by two well-known French cartoonists, François Ayeroles and Jochen Gerner, for the latest edition, Scratches 2. It was a really fun project and opened my eyes to new aspects of creative translation. 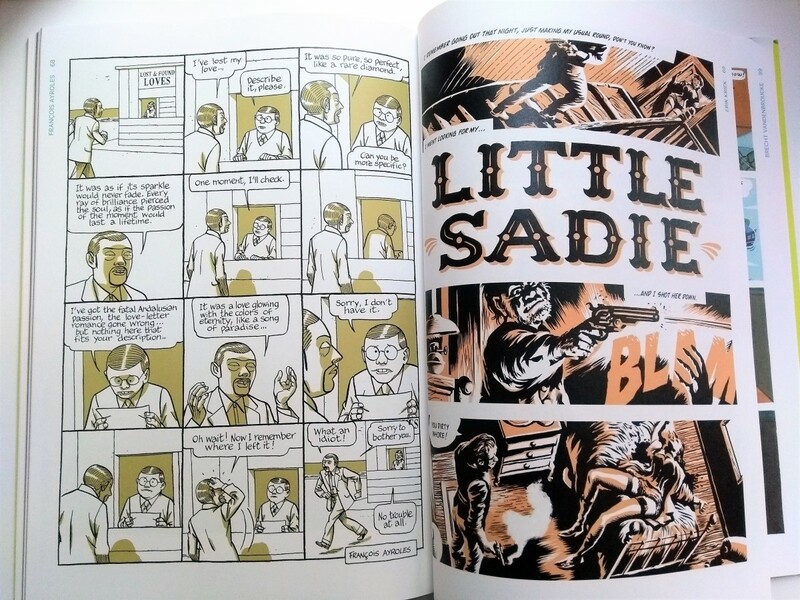 Translating comics poses interesting challenges: not only do you have to capture the meaning of the original text, you also need to account for the interaction between words and images. Lines need to fit into speech bubbles; jokes and wordplays need to sing; sounds should be hearable; emotions should be feelable. What’s the right onomatopoeia (…is it a Zip! a Pff? a Bzz?..) Are the words dictating the images or are the images dictating the words? I enjoyed working these things out as a translator and was delighted to see my translation hand-lettered in the final edition by the artists themselves! Scratches 2 is available at the Athenaeum Boekhandel.